The F-16 and Cougar share a similar main wheel and tire. The components listed above are common to both. 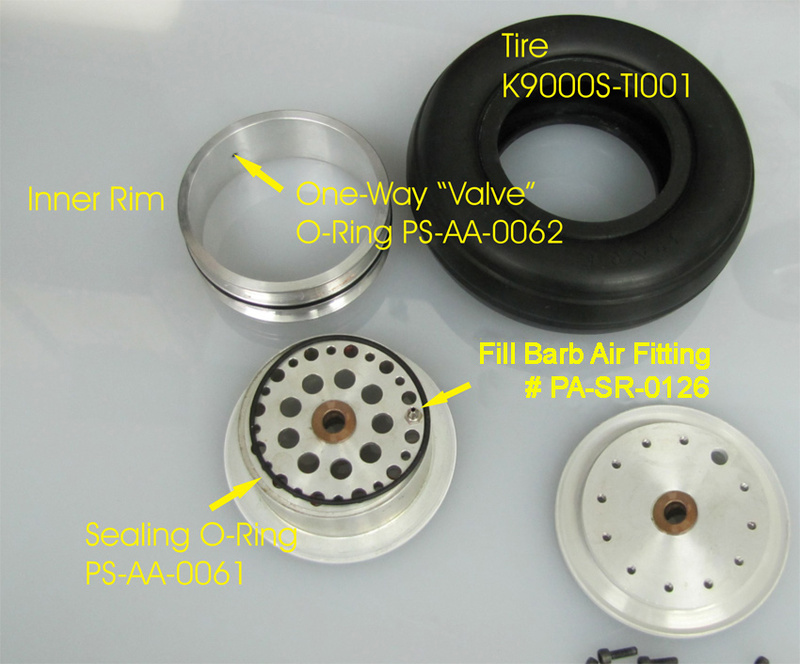 The filling process is accomplished by air going in through the fill barb, it passes through the O-Ring One-Way Valve and into the tire. There will be a leak that comes out of the barb if there is any dirt, or a scratch, or lack of O-Ring lube preventing the O-Ring from seating against the small hole in the inner rim.